First woman to play in the NHL 23 years ago calls Northville, Michigan home now. Women's College Hockey Continues to Grow! Should Girls Play Boys' Hockey? 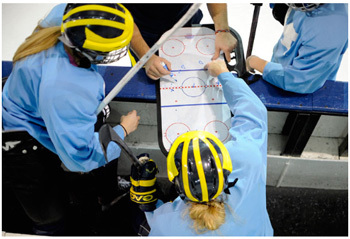 A hot topic for hockey directors, administrators, coaches, parents, and players is the placement of female players. Should girls play girls' hockey or boys' hockey and if they play on a boys' team at what age should they transition to an all-girls' team?